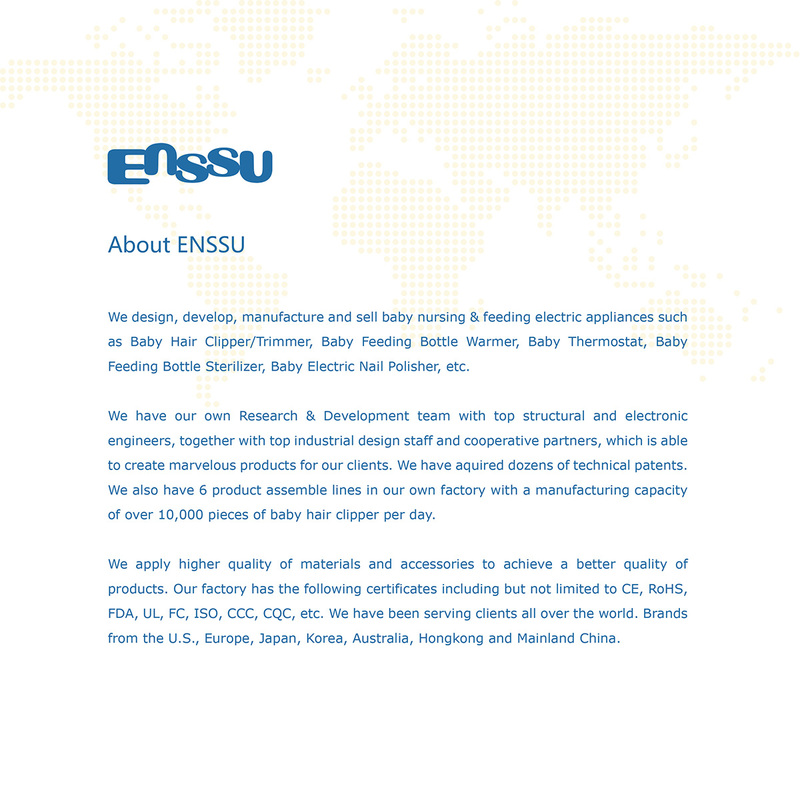 Enssu is a professional manufacturer of baby hair clipper/trimmer, baby feeding bottle warmer, baby thermostat, baby feeding bottle sterilizer, baby electric nail polisher from china. 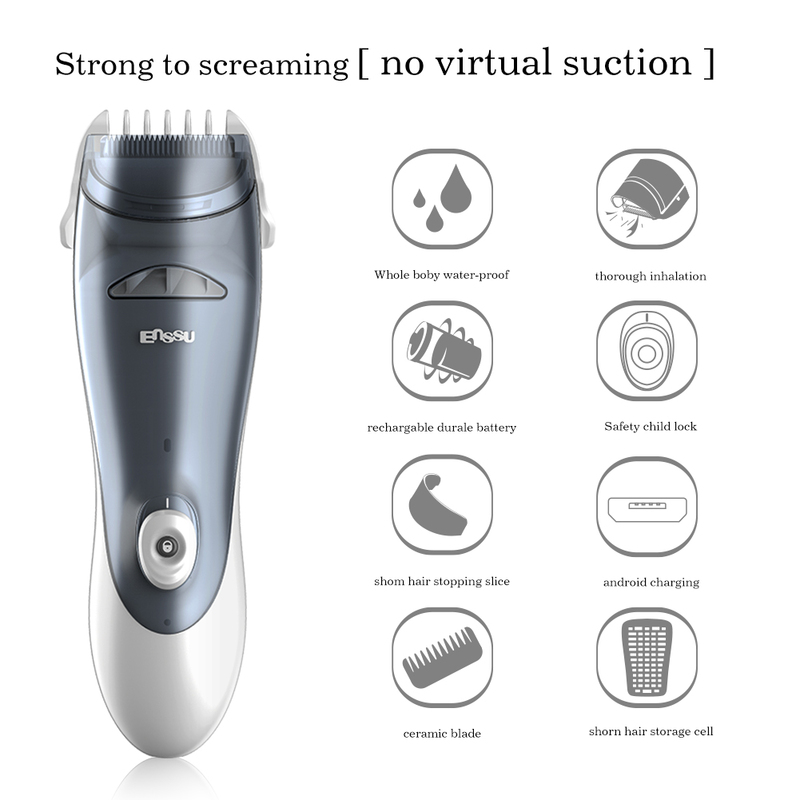 Today enssu will tell you everything you need to know about a baby hair clipper for baby grooming that used for shaving, trimming and cutting head hair. Baby hair clippers are baby personal grooming devices that are used for shaving, trimming, and cutting head hair. They are made up of sharp blades mounted on long handles made from plastic or steel. Depending on what you’re more comfortable with you can go for a manual baby hair clipper or be more savvy with an electric one. The manual baby hair clipper was invented in the 19th century, relying on a person’s hand power to trim and cut hair. It is made up of just two rows of sharp blades along with teeth that are used to cut through hair. The manual baby hair clipper is still pretty much used in traditional barber shops these days. On the other hand, the electric baby hair clipper is made with rust-resistant, titanium blades that never dull. Sometimes also called the corded baby hair clipper, it runs on a magnetic motor that cuts and trims hair at high speeds. In the same way that manual baby hair clippers are staples at traditional barber shops, electric baby hair clippers are key tools in modern-style professional salons and barber shops. A baby’s skin is very sensitive and has to handle with extra care. While selecting a baby hair clipper one should make sure that the blades are skin-friendly. Ceramic blades are a safe option as they provide complete safety to the baby’s sensitive skin. There are many baby hair clippers available in the market today. One needs to decide on the one based on the budget and that proves to be a value for money product ensuring complete safety. Hair clippers with various attachments and accessories like length setting comb, styling comb, apron, puff etc are a good buy. The Enssu Baby Hair Clipper is one of such hair clipper that cuts and trims the baby’s hair with total safety, precision, and is easy to operate.